Hello Disney Friends. Welcome to my long overdue trip report! 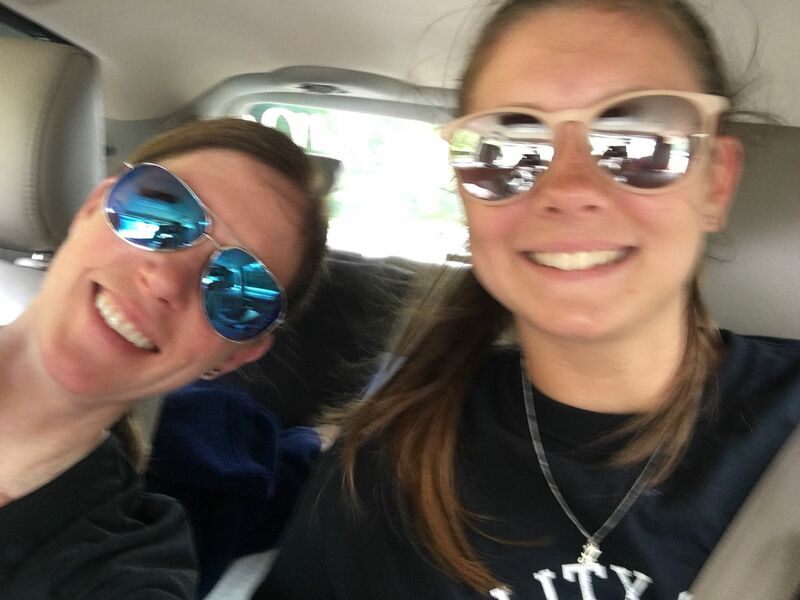 My daughter @TheMARVELousAllieBrown posted a pre-trip report for this trip. 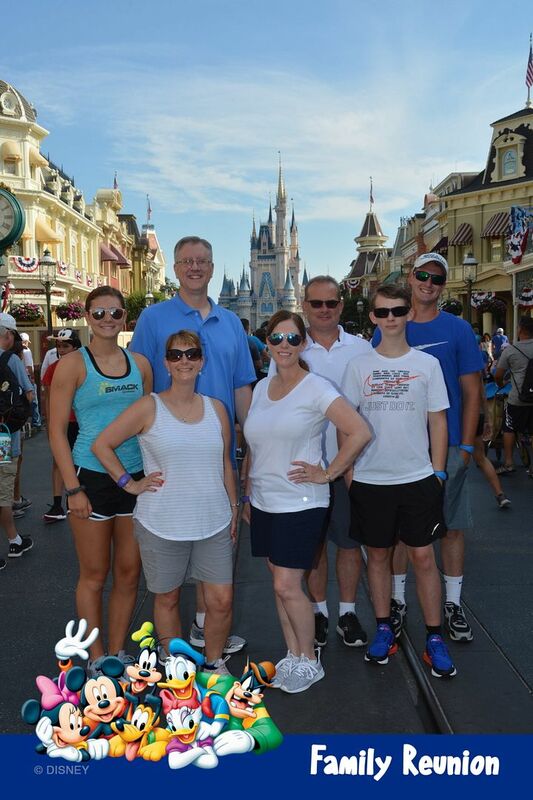 Why: Ten Year Anniversary of our last whole family vacation, Allie's high school graduation and Paul & Lisa's 29th anniversary. In the pre-trip we dubbed it our Vacaygraduversary Trip! 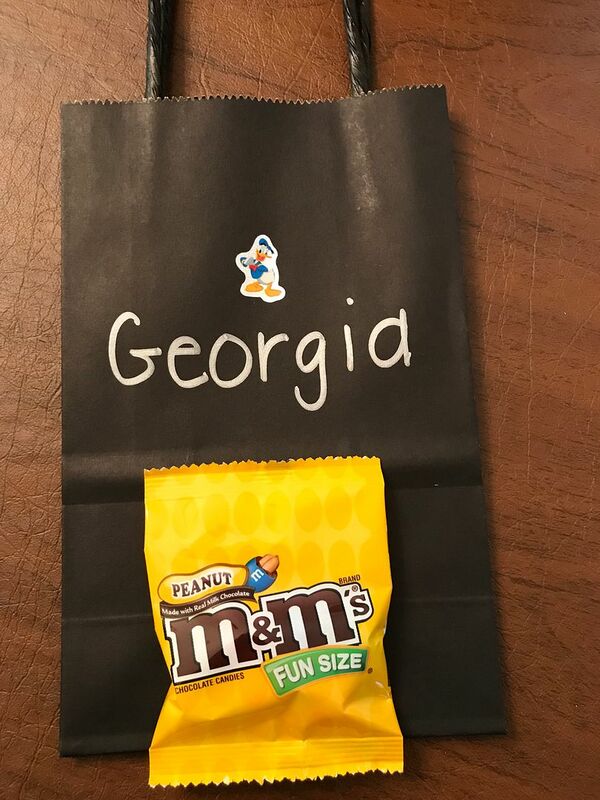 I created treat bags for every state that we would drive through. 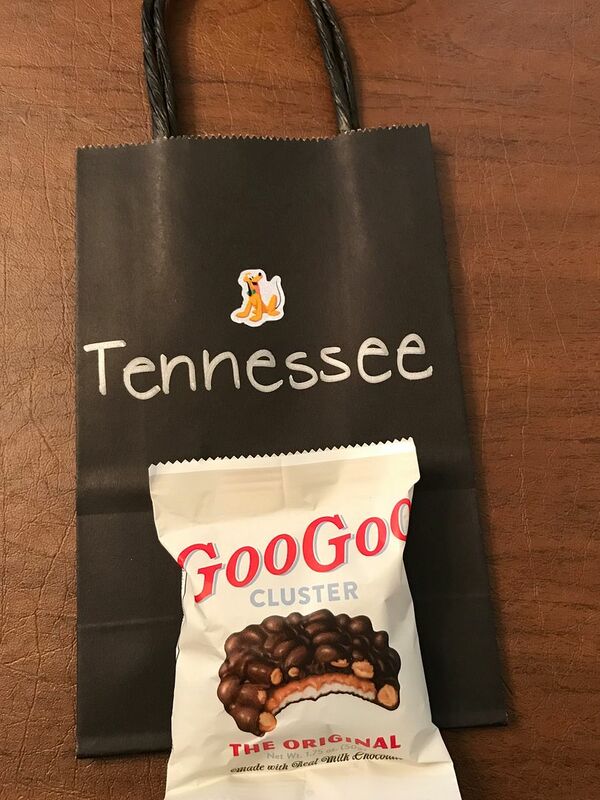 The idea being that as we crossed the state line we would open the bag and enjoy a treat that is representative of that state. 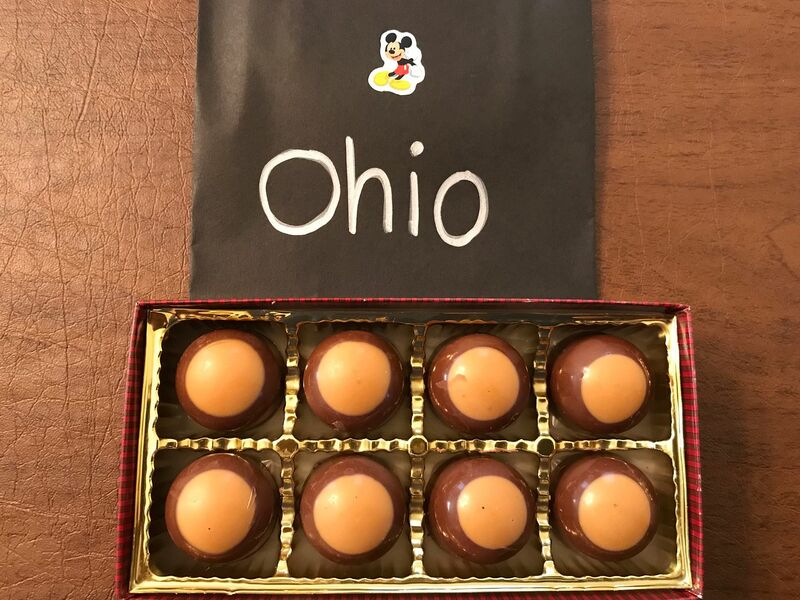 For Ohio, naturally I chose Buckeyes candy. 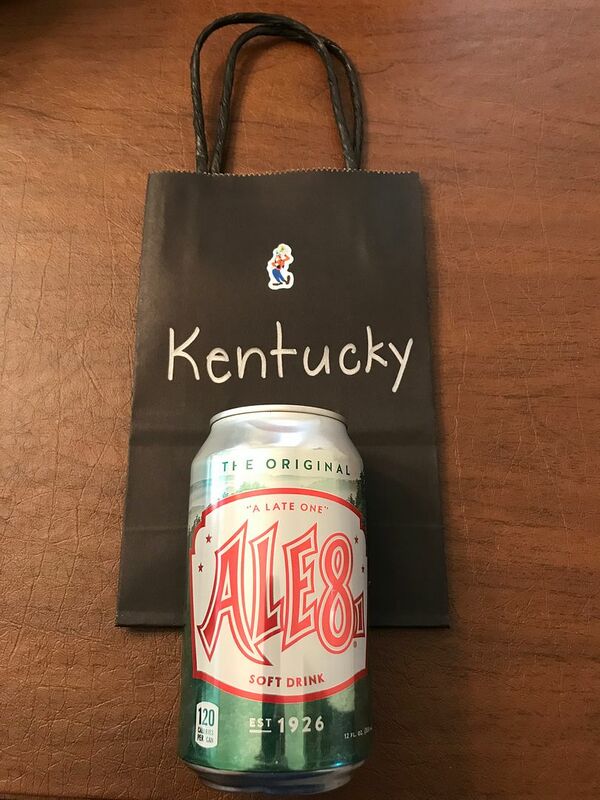 For Kentucky I chose Ale 8 soda. Bourbon would have been the obvious choice, but since not everyone was of legal drinking age I had to go with a soft drink. And Florida would be orange juice from the Florida Welcome Center. Because we were driving, I placed the small bags inside of an insulated cooler bag to keep the chocolate from melting. I made one bag for our car and one bag for Tina's. Tina and her family live about an hour north of us. They planned to leave home around 7, drive toward Cincy and meet us at the Chick-fil-A at our exit around 8. We were hoping to have breakfast and be on the road by 9. 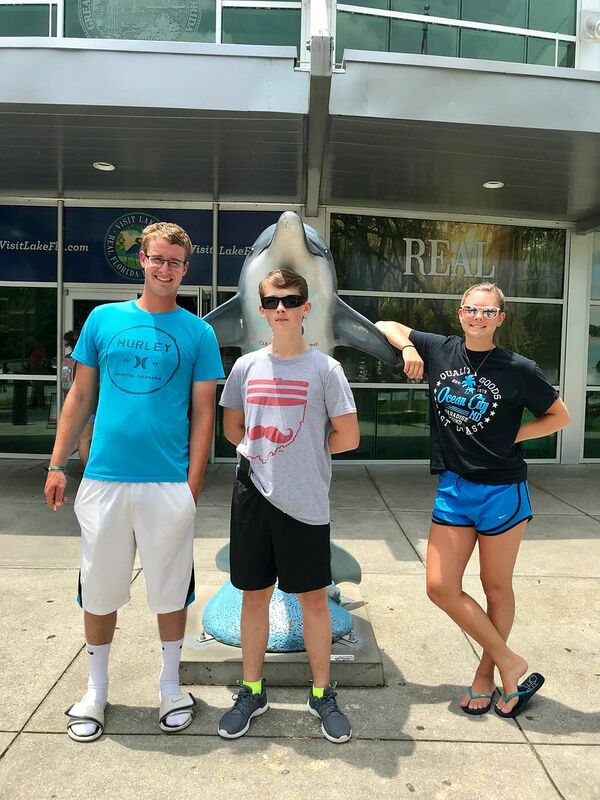 We would spend the night in Valdosta, Georgia and arrive at Disney around check in time on Saturday. Sounds like a great plan, right? Tina has a tendency to run late, so when she hadn't texted by 7:15 to say that they were on the road, I wasn't too concerned. When I still hadn't heard from her by 7:30 I texted to see how things were coming. Instead of a text, I get a call saying, "Maybe you guys should just leave without us." What????!!!!!! And there goes the plan! Because there was a medical situation they would be taking a short trip to the hospital before they could leave for the trip to Disney. We decided we would wait it out for a bit so when we left they would not be too far behind us. With bellies full of Chick-fil-A, we were finally on the road at about 12 (about 3 hours behind schedule so not too bad). A bumpy start but glad to finally be en route to the happiest place on earth. We crossed the border into Kentucky about 15 minutes later. We opened our first treat and continued on our way. 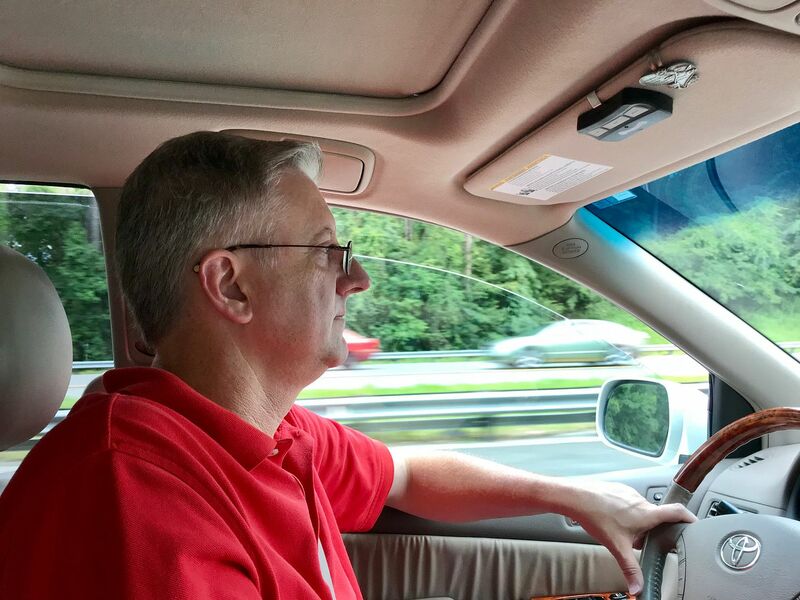 We had just passed Lexington, KY when Tina called to say that they were on their way! We figured that we should be able to meet up somewhere down the road. We stopped for an early dinner at a Subway in Knoxville, TN. Back in the car to continue our journey, we decided to enjoy our Goo Goo Clusters for dessert. We noticed the car was not getting cooler. We turned the a/c off and back on again. No cool air. We pulled into a parking lot, turned the car off and back on again. Still no cool air. By now the Goo Goo Clusters and M& Ms are starting to melt and it is approaching 5pm on a Friday night. 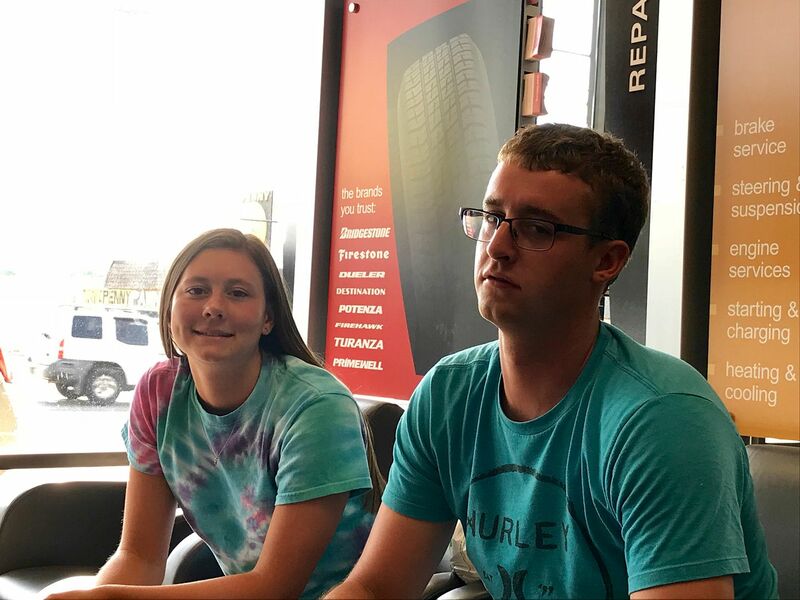 Adam and Allie researched nearby Firestone Auto Repair shops. The closest one said their a/c charger was not charging. We found another one about 15 minutes away. It was July in Tennessee. It was a lovely sunny day and the temperature was well into the nineties! We were melting by the time we arrived at Firestone. We arrived hopeful and left with our spirits dashed as the problem was not something they could fix and it would have to be repaired at the dealership. On the road again, we were looking forward to nightfall and hopefully cooler temps. We were forced to ride in style with our windows down to avoid heatstroke. This prevented us from hearing the dialogue from our dvd player. To keep up morale Allie had the aux and we jammed out. We were headed further south and although our spirits were high, the temperature was higher. Our unsuccessful Firestone detour allowed Tina's family to close the gap a bit. By now we were only about an hour ahead of them. 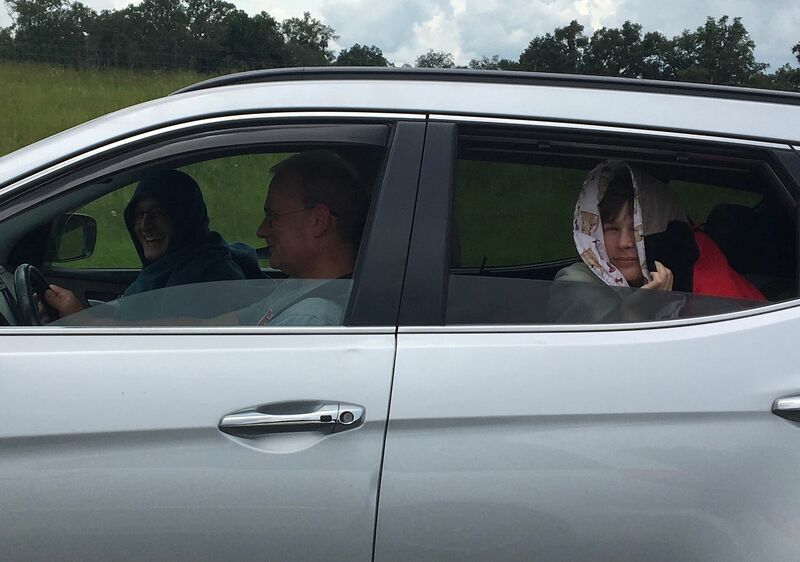 Fast forward an hour and Tina's a/c also went out as they drove through Knoxville. Lucky for them, their's was an easy fix and Mark was able to re-charge their a/c. Just before sundown we stopped for gas. At this point we decided it was vital to document our misery. Please enjoy this photo at a gas station somewhere between Knoxville and Atlanta. Paul and Adam smiling through the pain. So proud of our little troopers! We forged on and eventually were able to meet up with Tina's crew at a truck stop with a Wendy's around 11pm. We rallied after our Wendy's pit stop (which was the longest wait at Wendy's on record) and finally made it to our hotel in Valdosta at 3am. Let me say that a shower and air conditioning have never felt so good! Due to our late arrival we decided to sleep in a bit and would check out at 11 and grab lunch before hitting the road. I was wondering if we’d ever get the scoop on your much anticipated trip! Looking forward to reading all about it...hopefully events take a turn for the better! What a rough start!! Hopefully, it gets better! Can't wait to hear all about it! That really is a rough way to start, but it seems like you were able to keep your spirits up! I love those bags though, it's such a nice way to break up a long road trip! I'm in! At least the car didn't break down, and you could still continue on your journey.... still ... no A/C would make me cranky too! Bummer on the rough start! 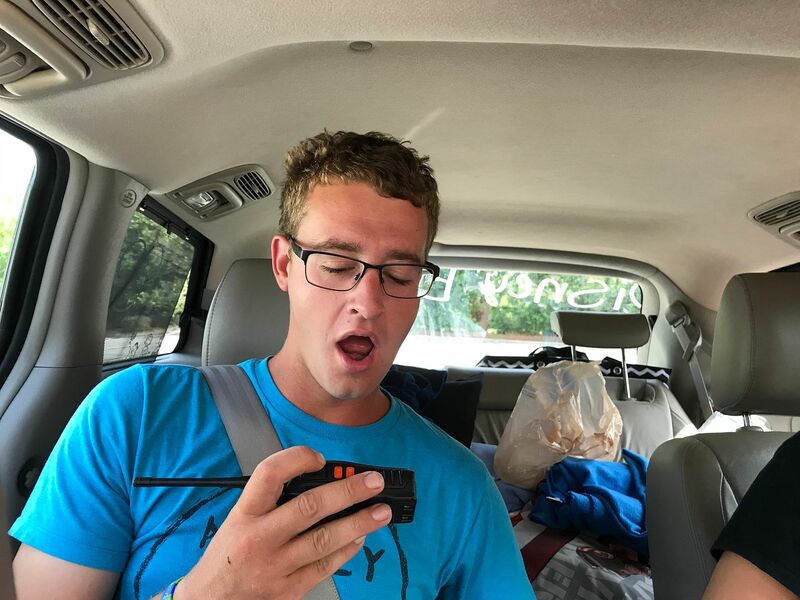 We are going in June and driving from Michigan, and I never even thought about the fact that we could have car trouble. EEK! Looking forward to the rest of your report - hopefully no more issues! Sorry to hear about the A/C, that is a bummer. We drive from NE when we head to Disney, so I know how miserable that must have been. I LOVE the treat bag idea, so cute! I may have to borrow that from you for our next trip. Looking forward to reading the rest! Glad you're here! I'm very happy to finally be writing this TR. I didn't want to start until I knew I'd have some time to get a big chunk of it posted. Stay tuned. Events do take a turn for the better . Thanks! Our anniversary is July 15 and it was important to us to be at MK that day. To accomplish that we had to leave on Friday. We aren't really superstitious, but when we decided to leave on Friday the 13th it did briefly cross my mind that that might not be the best day to travel . It definitely was rough, but we pulled through! Plenty more to come! The ride was uncomfortable, but we all kept focusing on the fact that we would soon be at Disney . Thanks! I started making the bags on our 2014 Disney road trip. It's fun to think about what to put in each bag. My family loves to have a little surprise to look forward to at each state line. Glad to have you along! Yeah, no a/c was no fun, but we knew Disney would ease the pain. As you'll see in the next post we made the best of it! Happy Chick-fil-A Friday to you! You often pop into my head when I drive past Chick-fil-A ! Thanks! I am sending pixie dust your way to ward off any car trouble on your trip! Just don't leave on Friday the 13th ! We ended up having a great trip! Thanks! It was miserable, but we did what we could to keep spirits up. Glad you like the treat bag idea. I love the planning aspect of our Disney trips and that gives me one more thing to plan! Wish I'd thought of it when our kids were younger, but they love it now at 18 and 23. My daughter helped me with all of our planning, but I kept the treats a secret so that she could be surprised at every state line. Thanks! At least thinking of me and CFA is not the worst thing! Ready to hear all about it! Great idea on having food/candy related to the states you're traveling through! I'll try to remember that on my next road trip. And good call on choosing Goo-Goos, though Moon Pies are also a great TN sweet. Hoping you guys were able to get everything fixed at a reasonable price. Glad to have you aboard. Next post is coming soon! Thanks! The Goo Goos were a huge hit, especially with my daughter. We also love Moon Pies, but I used them as our TN treat on our last Disney road trip in 2014 so I wanted to change it up this time. I'd be lying if I said the cost of the repair didn't hurt, but what are you gonna do? 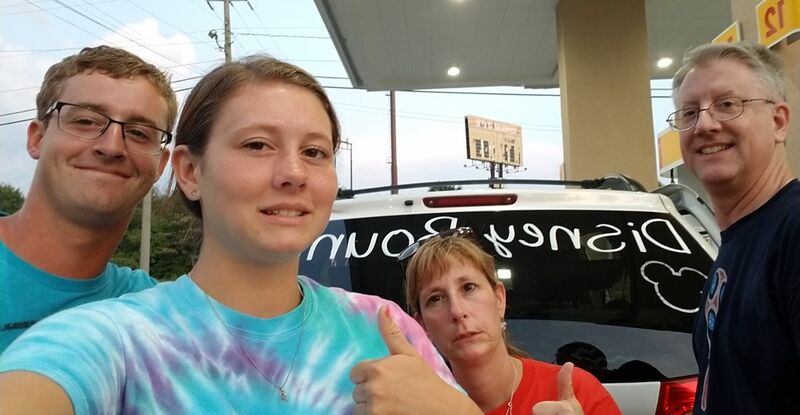 We knew we didn't want to drive home without a/c so we sucked it up! Ready to hear all about your trip! I am on the edge of my seat waiting to see if it gets better! Check out was at 11am so I woke to the alarm around 9:30. Paul woke up grumpy. He had not gotten as much sleep as he would have liked and was not looking forward to the drive with temps over 90 and no a/c. His attitude improved dramatically once he showered. Now we just needed to feed him and get on the road. There was a Waffle House a few minutes down the road. Both families loaded the cars and headed for lunch. Spence had his walkie talkies so the cousins had some old school fun talking on the walkie talkies on our way to Waffle House. We feasted on pecan waffles and other Waffle House delicacies (sorry I forgot to take pictures) and hit the road around noon. 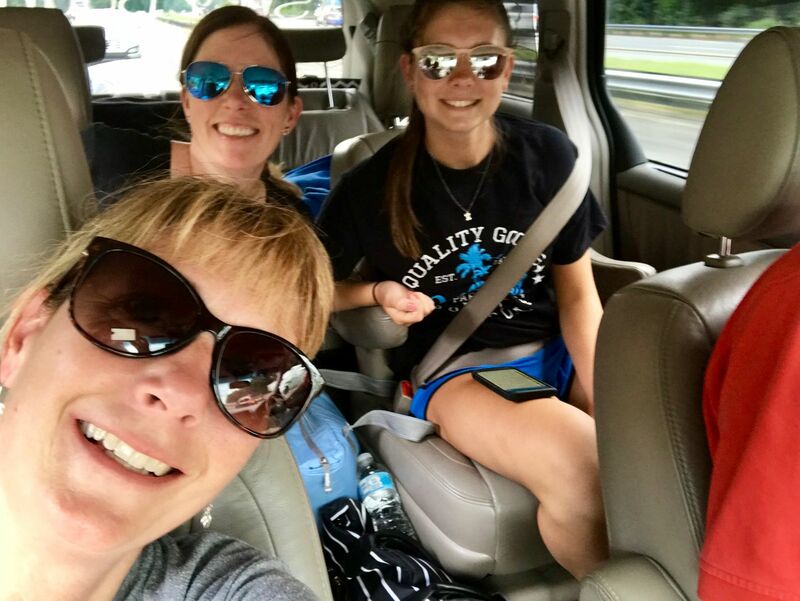 Since we hadn't met up with Tina's family until late the night before, they hadn't gotten to enjoy any of their state themed road trip treats (most of which were now melted ). 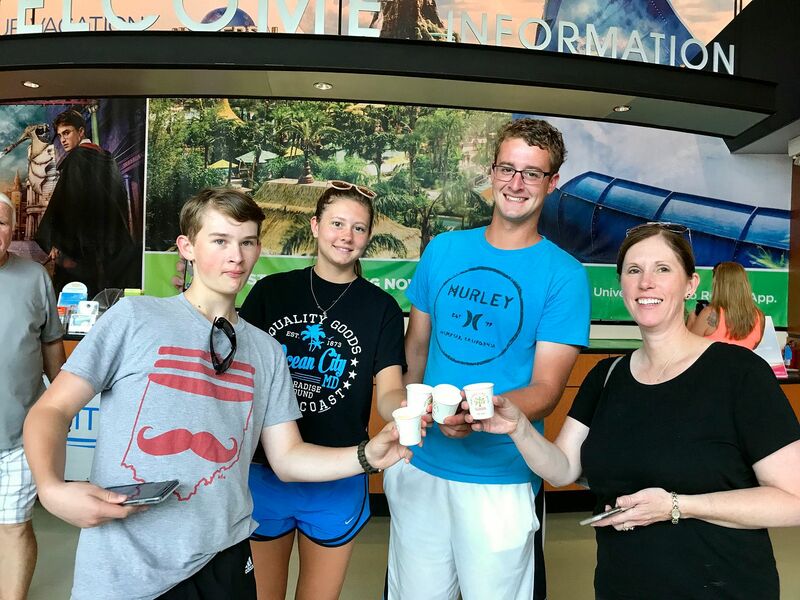 Although we were anxious to get to Disney I really wanted all of us to stop at the Florida Welcome Center for orange juice. Everyone obliged and we made a quick stop and hit the road again. Tina remembered that she had brought some cool towels to use in the parks. We soaked them in ice water from the cooler and planned to use them for the duration of our journey. Tina wanted to sing Disney songs. She knew Allie and I would sing along with her so she offered her seat in their air conditioned car to Paul or Adam. 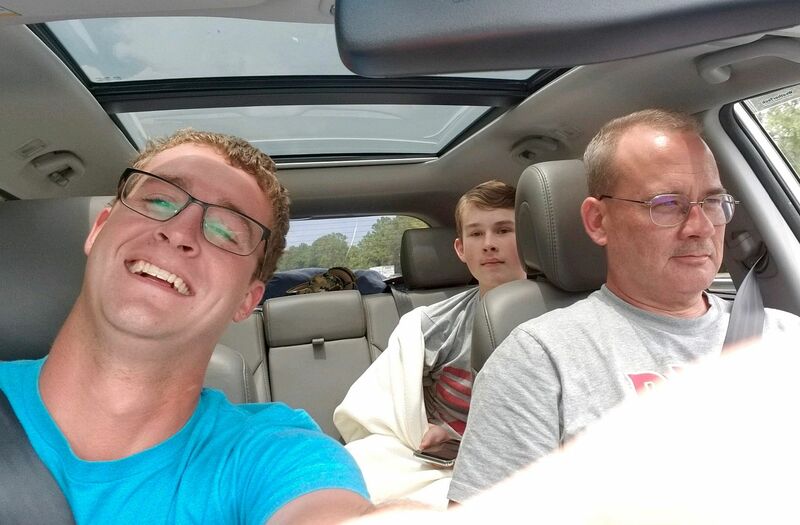 Paul was happier driving, so Adam joined Mark and Spence. Apparently their a/c was so cold they needed their blankets to keep warm ! 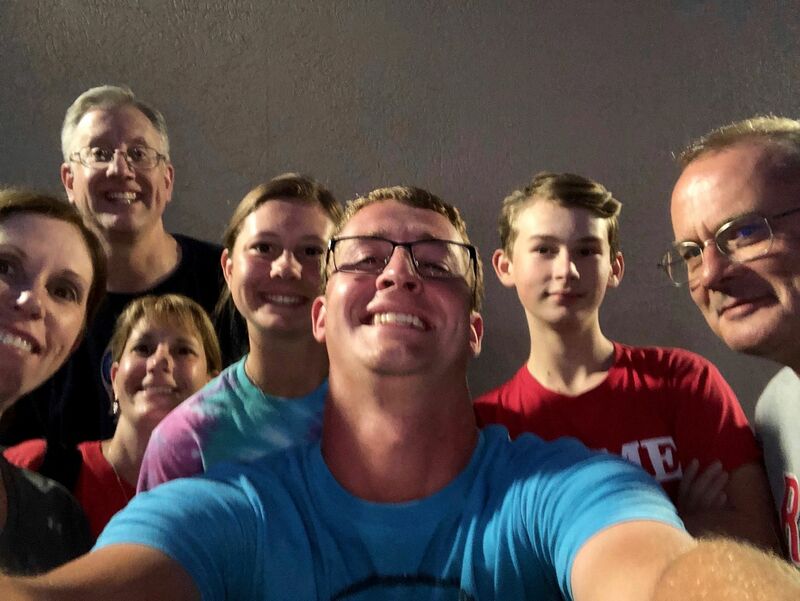 Over the next few hours the boys stayed cool and Paul, Tina, Allie and I tried to keep our minds off the heat by singing our favorite Disney tunes. 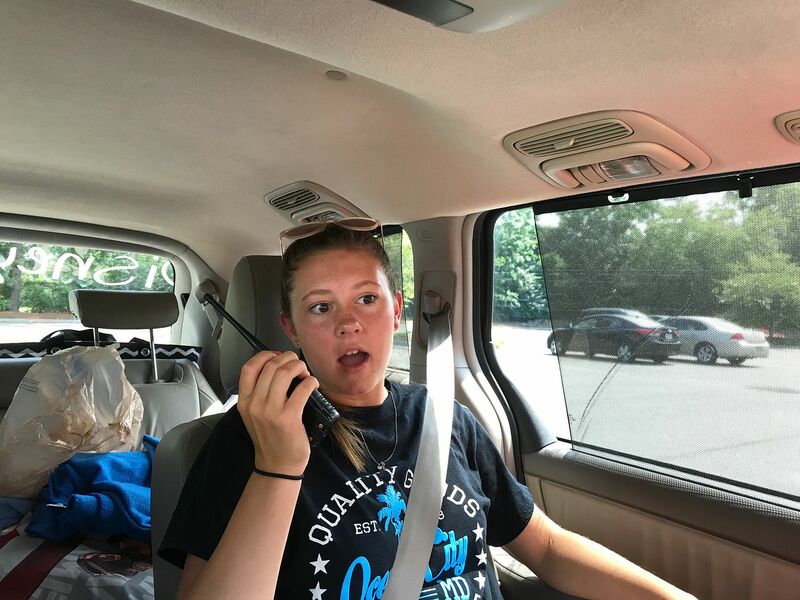 OMG, Walkie talkies are so much fun when traveling with family in multiple vehicles. My brother has a set of three and we used them on our last trip and there were lots of shenanigans....I seranaded them with Justin Bieber, for one. Loads of fun.